Time flies, make a statement, strike a pose. You know whose trousers were finished in time for a photo shoot at the beginning of the year? Though Oberon himself hasn’t been out in full even now, some… almost a year later. The Goat was the one who debuted his trousers, for the aforementioned photo shoot, in January, which was discussed here, during April (your feeble human concepts of linear time mean nothing to me). Ignoring the specifics, it really has been a year. Oberon was last year’s New Year costume and I’m only typing this entry halfway through constructing this year’s project. But more on that hot mess later. And by “later” I may or may not mean “this time next year” (assuming I live that long). Can you believe there was a time when I’d write down everything every single day? That was 10 years ago. Motivation? Never heard of it. Now, in December, it might actually be time to explain the construction of that whole Oberon mess in a little more detail. 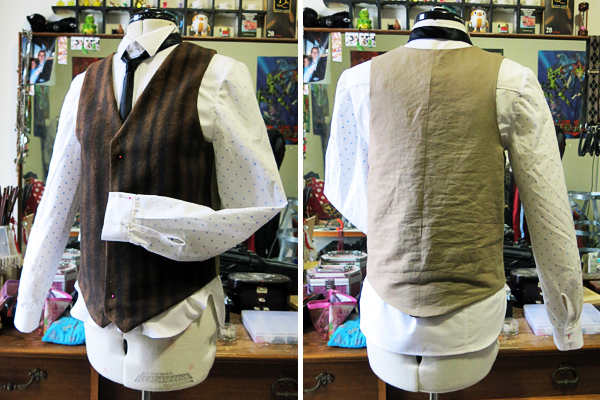 This entry was posted in work in progress and tagged construction notes, costume, in which i have zero concept of linear time, oberon on 07/12/2016 by Mai. No sympathy for one another and nowhere left to go. 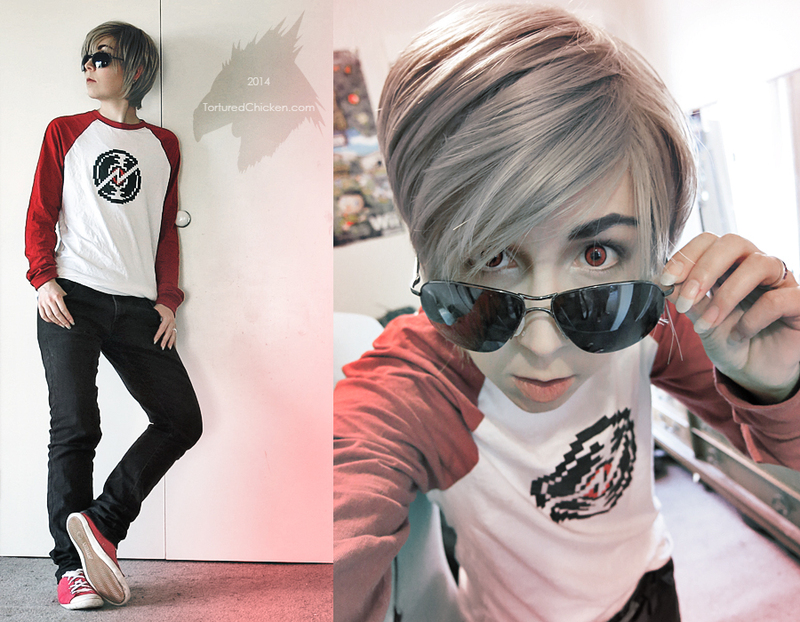 Not that I can’t go from Karkat Vantas to Dave Strider in a matter of hours, but my only social interactions on that particular day involved cats and being alone with the webcam. It’s that exploration of identity through costume yet again. Plus it’s going to be year of the goat soon so let’s keep thinking those Capra thoughts. Too bad there’s no “year of the medical malpractice” eh? This entry was posted in work in progress and tagged costume, essy, original characters, roths, wanted on 05/02/2015 by Mai. Spider webs of steel and stone subdivide our given home. Every few months I make a point to go through the closet and sort through all of my clothing. As somebody with limited space, little self-control, a constant stream of costumes, and a penchant for opp-shops- it is a necessity, lest I drown myself in garments. 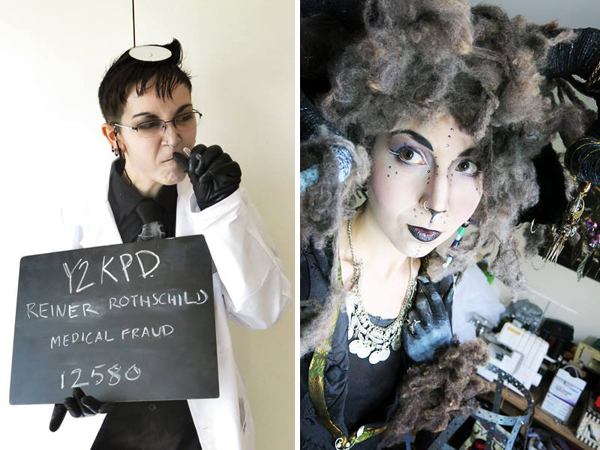 This entry was posted in work in progress and tagged costume, fantasy, faun, goat, golden owl events, larp, midsummer faerie rade on 25/01/2015 by Mai. I’ve lost control- I don’t want it back. It’s that time of year again. That is, the time where I settle in for aestivation and pretend adult responsibilities don’t exist. Sorry for the general absence. In particular I apologise for not updating the comic since… August? There are pages in progress, this is merely a case of neglect rather than all out abandonment, and I do intend on having at least one more up before the end of the year. If my intentions even hold any real value at all. Things have actually been quite good recently (outside of the usual anxiety and heat-exhaustion this time of year brings; perhaps I should move to the northern hemisphere? If Christmas and summer didn’t coincide my coping mechanisms may not be stretched quite so thin). Or at least busy, which is why some things have been neglected; there is only so much time in any given day. 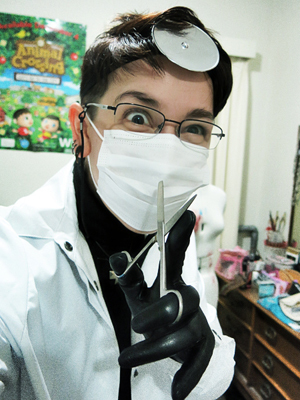 This entry was posted in life update, work in progress and tagged art dump, costume, lab coats, not a qualified medical practitioner, original characters, tf2 medic cosplay, works in progress on 14/12/2014 by Mai. It is not belief when there’s nothing there to trust. Let’s talk costumes, let’s discuss how my Hermann Gottlieb of Pacific Rim has been undergoing some degree of alteration since his last outing, in the form of an updated ID badge (which has already been discussed in some depth), new shirt, and even new glasses. 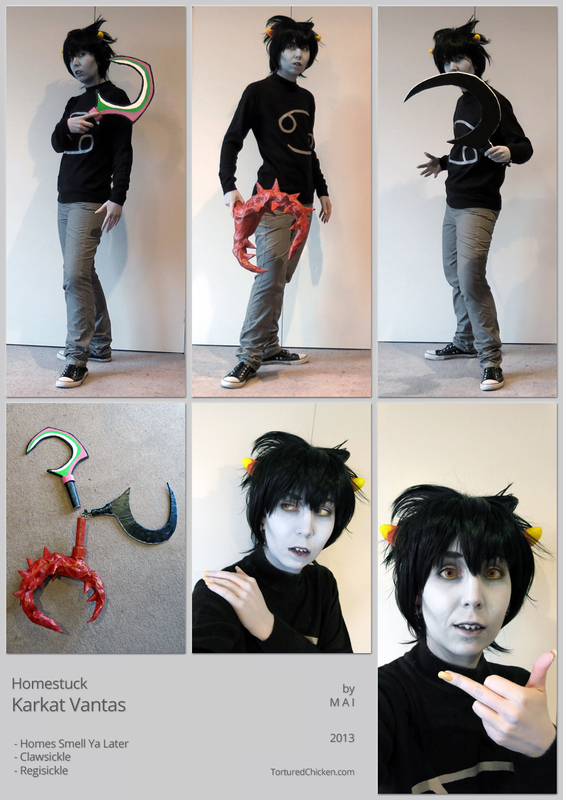 This entry was posted in work in progress and tagged cosplay, costume, guillermo del toro, hermann gottlieb, pacific rim, plastimake, strigoi, the strain, work in progress on 08/10/2014 by Mai. The past couple of weeks have been spent going through all the digital work I’ve put together over the years for costume work; cleaning up some of the older ones and getting them all organised to share in a public Google Drive. It is finally ready to be shared and can be found over here. The images are all 300dpi .png, full colour and ready to print. They consist mostly of placement prints, logos and labels for clothing and uniforms, along with a few stickers, badges and character identification cards for good measure. A lot of work went into them and occasionally people ask about using them so… have at it! Putting them all in the drive saves a bit of time in that regard (I don’t know if people ever print images directly from the Asylum or my dA or whatever, but nothing I upload around the place ever exceeds 72dpi so the printed quality would leave something to be desired in that situation). Items on the drive will be added to and updated as I see fit. It’d be nice to be credited if you use them, though I don’t ask for any other compensation as they were mostly copied down from existing sources and are not really my designs. Just a lot of work that only ever gets used a handful of times, so it’d be nice to think somebody else might get some sort of use from it. 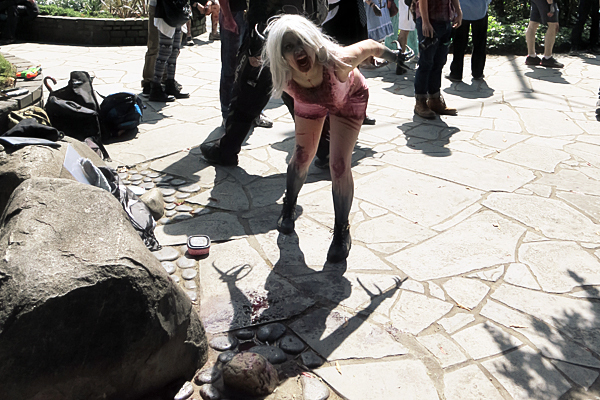 This entry was posted in life update, work in progress and tagged cosplay, costume, google drive, have at it, illustrations, resources on 10/07/2014 by Mai. Round all the pieces up, but they just don’t fit the same. Some months ago there was a costume party. It was briefly mentioned during the entry about hider-jewellery. Nothing to do with gloves, as my costume of choice did not involve gloves, right? This entry was posted in work in progress and tagged apostrophe, costume, faux fur, gloves, snow leopard, vogue accessories on 27/06/2014 by Mai.